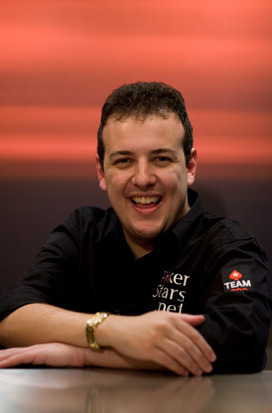 Alexandre Gomes is a very popular poker player from Brazil. He was born on July 24, 1982 in Curitiba. Since childhood he had great interest to the cards. He practiced his skills with the friends and gradually it became not only a hobby for him. He graduated from law school in 2005. When he was in the third year of college he started working for the law firm and after graduation he became a partner. It took him two more years to decide on his future career. He switched to professional poker. That was when he played in the poker tournament with his pal just because of curiosity. The first real significant event happened to him on Feb 26, 2007, when he won in the online poker tournament. 1594 people participated in the tournament but only Alexandre was lucky enough to win it. Next February was even more attractive to him, as he won Wednesday Hundred Fifty Grand. And this tournament brought him the biggest winning so far. Since then he took part in various tournaments, both live and online. And he participated in the WSOP in 2008, where he won too. That is how he brought the WSOP bracelet to Brazil and a wonderful prize with it. It was the time when he was hired by the professional team PokerStars, along with Andre Akkari to represent Brazil at the Team Pokerstars Pro. In LAPT (Latin America Poker Tour in Punta Del Este - Uruguay) he managed another final table in his career, winning fourth place. After these excellent results in 2008, the following year promised even more thrill and gambling spirit. In January Alexander won fourth place in the PokerStars Caribbean Adventure, held in the Bahamas. And in July, after a long season in Las Vegas, Alexander brought to Brazil the title of WPT Bellagio Cup V, a very tough tournament and very recognized in the world stage.